One of our dairy applications customers was looking to develop a customised stabiliser system to firm up a novelty ice cream cone. Not only were they looking for a system that ensured the cone remained firm during processing, but they also required the coating to be applied with the correct amount of time for adherence. Ice cream with indulgent mouthfeel. 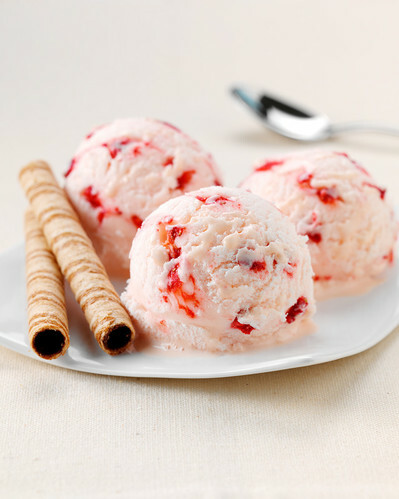 The customer turned to Tate & Lyle to help them develop a stabiliser system that not only improved the ice cream cone’s structure, but also provided the desired indulgent mouthfeel and texture iconic of the brand. Our Dairy Applications Scientists worked closely with the customer to formulate a stabiliser system that provided a robust structure to the ice cream novelty cone and slowed the melt of the finished product – enabling consumers to enjoy the much loved ice cream product for longer. This partnership has positioned Tate & Lyle as a top-of-mind solutions provider and partner for the company and their future innovations.